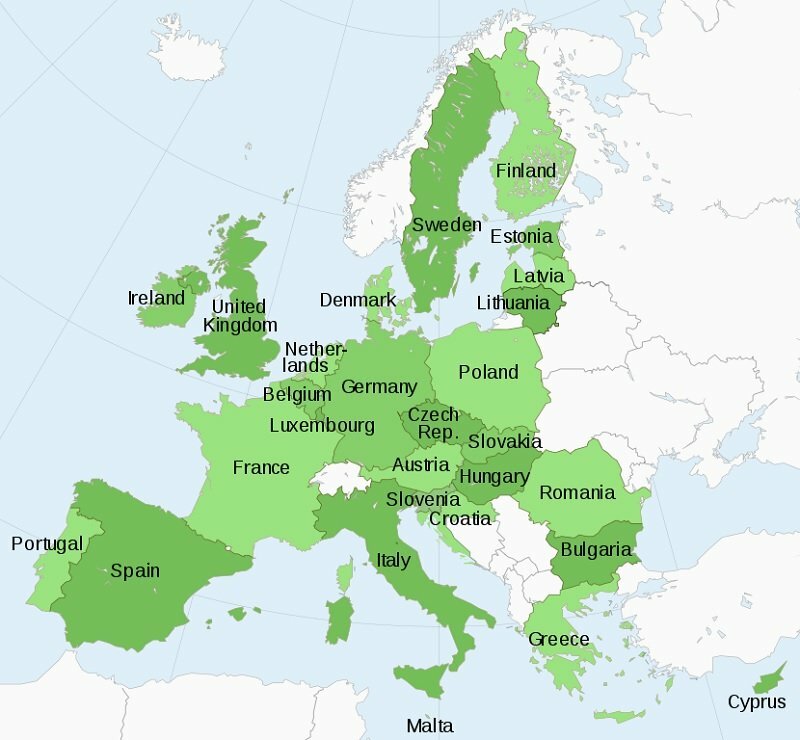 Below you can find a list with the current EU countries and their capitals (2019). (*) CLARIFICATION: The United Kingdom is STILL an European Union member country. More information [HERE]. (*) Although it is in the process of leaving, today the United Kingdom is still part of the European Union¹. 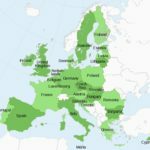 Europa.eu – Official website of the European Union (2019). The 28 member countries of the EU. Available [HERE]. Ssolbergj – Wikimedia Commons (2008). Member States of the European Union (polar stereographic projection). Retrieved from Wikimedia Commons. Avaliable [HERE].